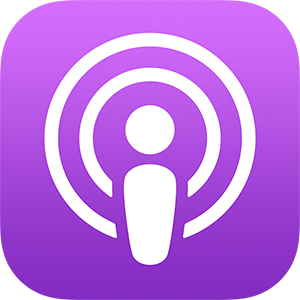 Receive Exclusive Financial Content Every Week! The secrets behind eternal wealth have nothing to do with stocks, bonds and mutual funds or anything else the typical financial advisor tells you. These secrets have been around for thousands of years and have allowed some of the oldest families in Europe to remain wealthy for multiple generations. 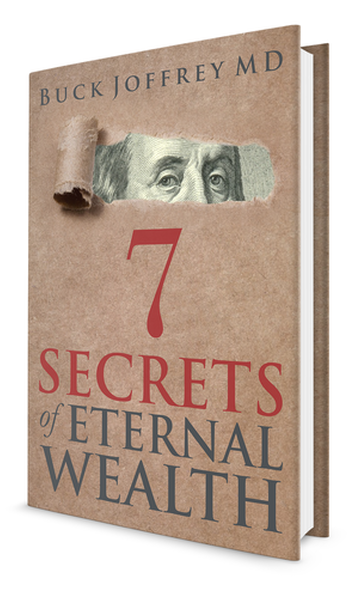 In 7 Secrets of Eternal Wealth, Dr. Buck Joffrey outlines the principles that have allowed him and numerous other professionals to transform their own lives and escape the modern day paradigm of trading time for money. Dr. Joffrey believes that the formula for wealth is available to everyone who is willing to change their mindset; even overwhelmed, hard working professionals such as physicians, dentists, and attorneys who have very little time outside of work. This book is a must-read for those who feel trapped in the rat race or shackled by the golden handcuffs. Starting a business and/or buying real estate is very realistic for high wage earners. High wage earners are in a unique position in that they make more money than they need to live. That may sound very basic, but it is important to realize that most of the people in this country are not in this enviable position. Like everything else, once that theoretical education is learned, it must be implemented via experience which may include some failures along the way. Nothing in life worth having is ever easy to obtain. Please note that all investments that I am involved with require you to be an accredited investor. The SEC defines this as an individual who makes greater than $200,000 (or $300,000 if filing jointly) OR a combined net worth of greater than $1 million. Wealth Formula is about you, the overworked but well paid individual looking for a better life. We define wealth as freedom to do what you want with your life. We want you to decide for yourself if you want to work 80 hours per week and not see your children. Your decisions should not be dictated by your golden handcuffs–the need to make lots of money to fund the life that you have created. We want to help you to create other multiple streams of income that do not involve trading more of your time for money. Through a strong foundation of financial education, we advocate the use of entrepreneurship to generate money which, in turn, works for you to create a cycle of perpetual wealth. In 2008, Americans lost 7 trillion dollars in the stock market. Why? It happened because Wall Street was taking huge risks with our money. Wall Street does not care about you and me. They don’t have our best interests at heart. Wall Street is there to take your money, not to make you money. Financial planners and stock brokers are simply Wall Street minions. They package up these financial products and feed them to you knowing that they are poisonous. They don’t care if you win or lose. They make money through “wealth management.” In other words, they are leaches sucking the blood out of your account 3.5 percent per year at a time. They have no skin in the game. They are just vultures feeding on your ignorance and your savings. The good news is that, long before there was Wall Street and wealth managers, there were real assets: real estate, land, precious metals, and art. Generational wealth is built on real assets, not on intangible ones. This is how the richest families in the world have maintained generational wealth. I believe returning to real asset based investing is the key to creating real wealth. 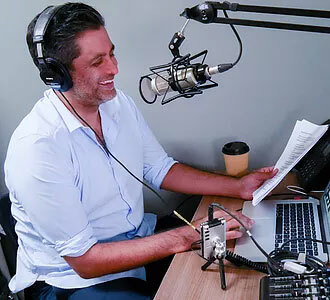 The purpose of this site, the wealth formula podcast, and all of the work I do is to help hard working professionals like you gain core competence in real asset investing and to create a community of like-minded individuals. Cash Flow: Wealth is not defined by dollars or euros. It is defined by time. Creating multiple streams of recurrent income through investments dissociates the correlation between time and money over time and results in true wealth. Understand Your Investments: If you can’t explain why something has value or why it makes money, don’t invest in it. I don’t understand how Americans lost 7 trillion dollars in wealth in the stock market in 2008. I don’t understand how that money vanished in just a few weeks. Therefore, I won’t invest in it. Real Assets: Stocks, bonds, and mutual funds are not real. That’s why they can vanish in a crash. Real assets don’t vanish. If you own tangible assets such as an apartment building, farmland, or fine art they do not disappear because of a computer glitch. If you own precious metals, they don’t melt away because of an unrelated bank failure. Essentials: Until you have sufficient wealth to sustain your daily needs, focus on things that all people need in good times and bad: housing, security and nourishment. These are the most stable investments. Once you have security for yourself, take more chances for higher yield.